InTheSnow Live and the Telegraph Ski and Board Show have decided to join forces, rather than offer competing ski and board shows on the same dates. The shows had been scheduled for the weekend of 25th-27th October in Birmingham and Manchester respectively. Due to the clash of dates both had struggled to sell all of their exhibitor space with a lot of resorts, tour operators and equipment companies choosing between the two rather than having a presence at both. After initial denials that either show would have to bite the dust, amicable talks between the two shows' organisers resulted in the decision to shelve InTheSnow Live in Birmingham. Exhibitors booked for InTheSnow will be offered the chance to exhibit at the Manchester show instead. The decision, although a difficult one, will save the ski industry from the potentially embarrassing scenario of two half-empty live shows running concurrently within an hour of one another. Dominic Killinger, director of the InTheSnow Live show said: "we are very pleased that two competing companies in the market can sit down and agree what's best for the industry as a whole and work towards a common goal of attracting new skiers to a stronger market." It is not yet known if ticket holders for InTheSnow will be able to use their tickets to visit the Manchester show, a further announcement is expected soon and tickets can still be booked online for the Telegraph Ski and Board Show in Manchester. 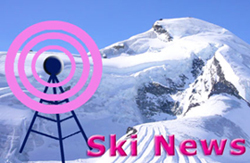 Ifyouski.com will be reporting from the Manchester and London Ski Shows during the Autumn.